Published Feb. 10, 2019 at 7:57 p.m.
Jeff is the president of OnMilwaukee so we picked the good-natured chap and his gorgeous, easy-going wife to help us work out the kinks with this first video. 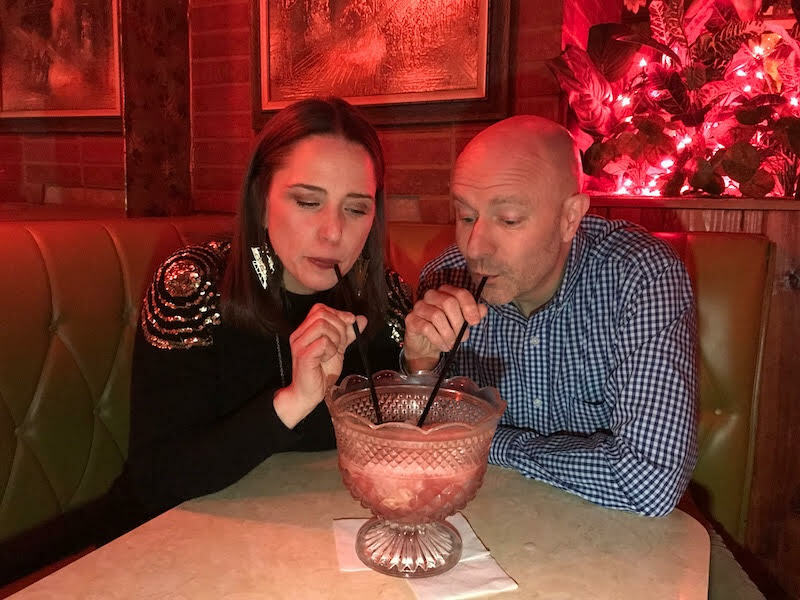 The couple kicked off their Valentine's Day early with a massive cocktail-for-two, called The Love Bowl. Even though we consider the Shermans our friends as much as our colleagues, we learned a lot about Jeffanie through this. Like who knew that Jeff puked on a mountain in Maui on their honeymoon? For more humorous and sweet banter check out the FB Live below. And remember: there are no gutter balls in Love Bowling!